Even though it’s not officially fall, the “season” seems to have already gotten underway with invitations flowing in. 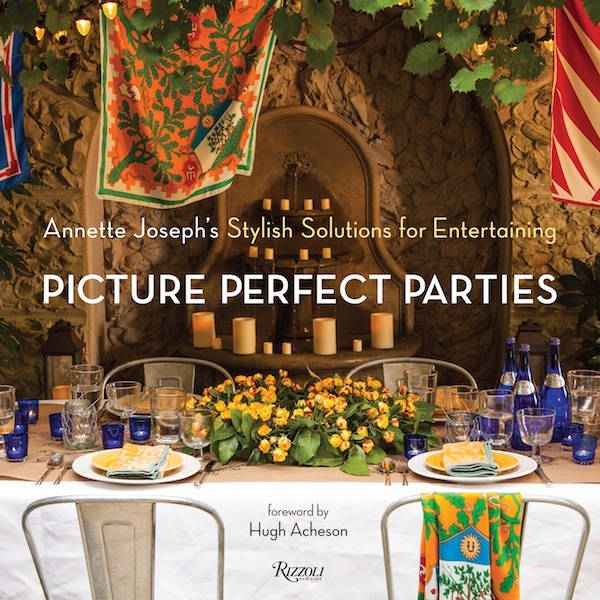 How convenient that Picture Perfect Parties is coming from Rizzoli on October 1 to solve all our entertaining needs. Stylist and entertaining expert Annette Joseph‘s motto is “make it simple and make it gorgeous” and you will clearly see how she achieves her results in her terrific new book. Chock full of recipes, advice and tricks of the trade, you’ll be party-ready in no time. I love how everything in the book is unintimidating and approachable. 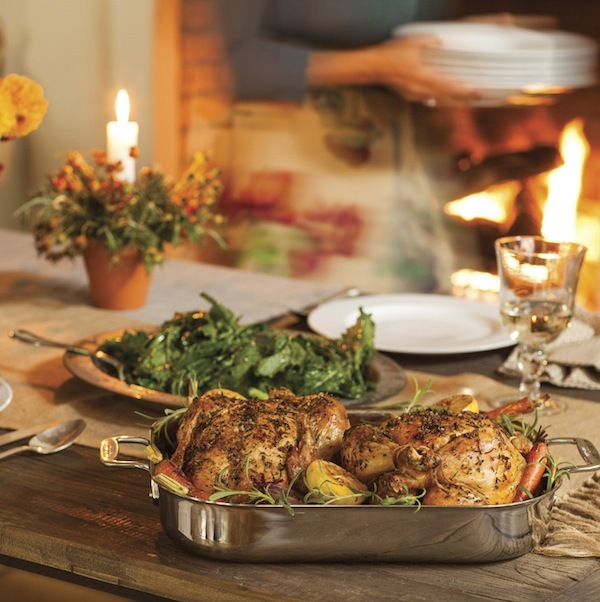 Even novice cooks and hosts will feel confident that they can put together a delicious, beautiful and fun event. 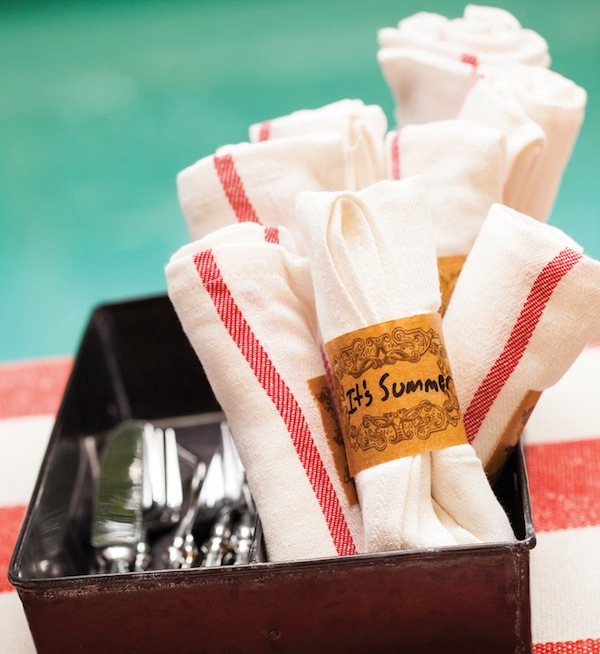 The book is organized by sixteen thematic parties, from a Cinco de Mayo party to a Holiday Cocktail Open House, each including a menu with recipes, a list of all necessities and special accompanying projects to ensure your party will be stylish and chic. With step by step instructions, beautiful crisp photography and a clear and colorful layout, the book is as much fun to read as it is to use. Take for example the chapter on a Memorial Day Cookout. 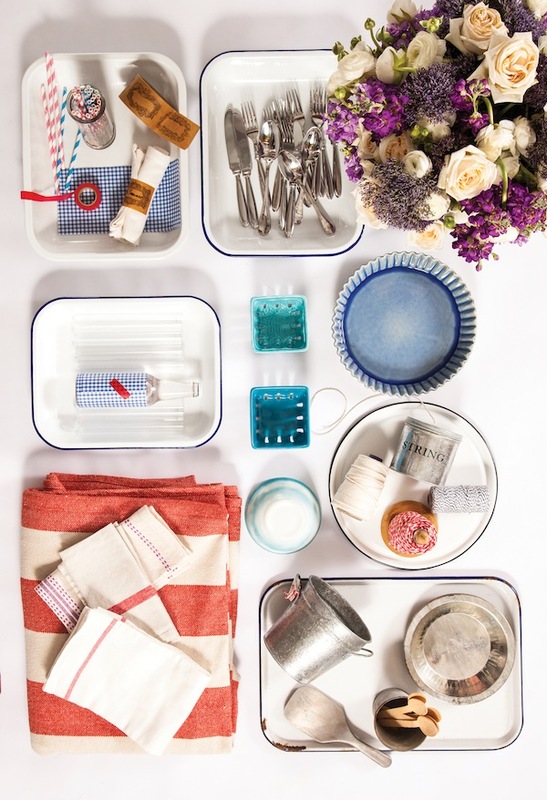 The photo above lays out all the elements you will need and specific styling ideas are included such as the napkin roll ups below. 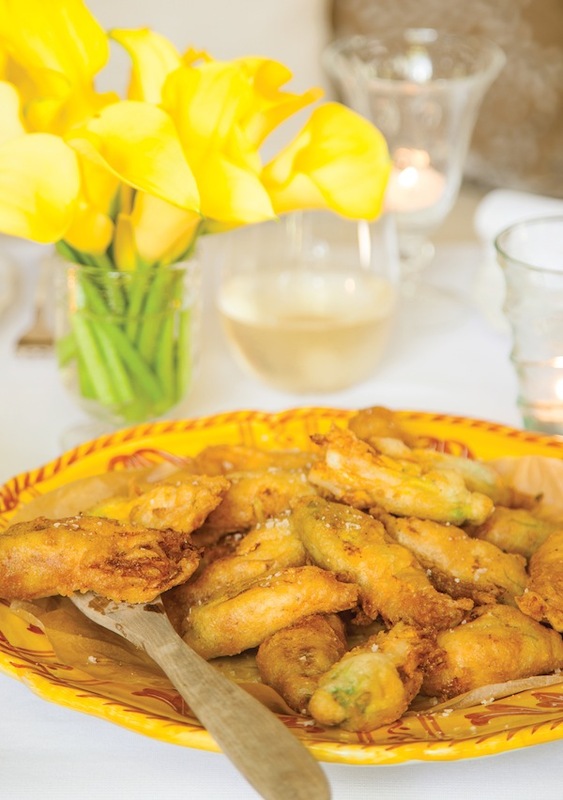 Recipes range from updated classics to more sophisticated and unique ideas such as these ricotta-stuffed fried squash blossoms for a spring Italian feast. The recipe includes tips and step by step photos to properly prepare what Annette assures is a deceptively easy dish. Even total entertaining neophytes will find a place to start such as with the delicious and homey Sunday Supper chapter. The painted clay pot as a menu blackboard is an easy and fun decorative idea to make your gathering a little more festive. 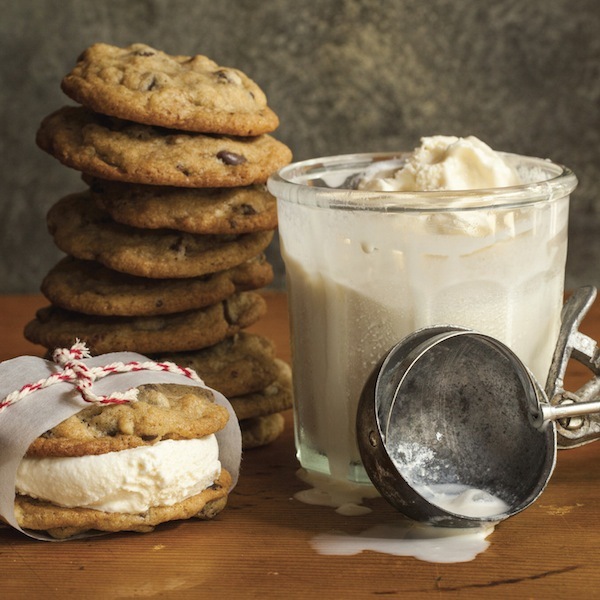 Dessert is actually one I have made before that is always a great hit – homemade chocolate chip ice cream sandwiches. But Annette has added the clever idea of wrapping and freezing them in string tied parchment for a great presentation – so fun. I can already think of several people on my list who will be receiving this fun and festive volume at the holidays including my two nieces (shhhhh…), both of whom love to entertain and are getting married in the next several months. I hope my new nephews-in-law will appreciate the thought! This entry posted in books, entertainment, food and drink, gifts, holiday. Entry Tags: Cookbooks, Entertaining, Gift Books, Party books Bookmark the permalink. Looks like a great book! Adding this to my Christmas list. Oh, I need this book! And I can think of several friends who would love Santa to bring it to them for Christmas. Thanks for the tip! We are so adding this to our list for Christmas – we know our Mother would love this beautiful book. The chapter on Sunday Suppers looks right up our alley! 79 queries in 0.870 seconds.